We take pride in providing the highest level of service to our customers like you. That is why we created the SMG3 EDGE, our mobile asset lifecycle management portal. It is a central location where you can easily access your orders, along with product and service information, 24×7. Interested in demoing the SMG3 EDGE online? Contact us. Access SMG3 EDGE 24×7 to track mobile assets, orders, RMAs, warranties, and more. Order additional product from a pre-set list of previously purchased equipment online. Obtain a comprehensive list of your company’s assets by serial number, location, warranty information, and contract numbers. We even include spare pool units. Create tech support tickets and monitor their progress. You can see escalation, communication, closure, and follow-up procedures, making it easy for you to communicate with our services team. 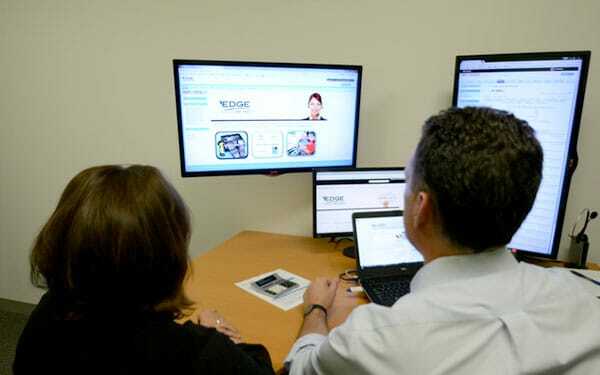 The EDGE will create and manage RMA cases, including ticket initiation, shipping directions, and communication with all parties throughout the process. Learn more about your business with our customized reports based on your specific metrics, assets, and inventory. They can be downloaded and accessed directly from the EDGE. Find up-to-date manufacturer information on bug fixes, OS updates, security patches, and upgrades. Easily track orders, view and pay invoices. You can also review lead times, shipping, and delivery information. We offer several different SMG3 EDGE packages, so you can find a support plan right for you. Let us show you how our mobile asset lifecycle management portal can help you maintain your mobile strategy.